“Morning altars” are colorful mandalas that combine nature, art, and meditation. Incorporating the natural world into the everyday encourages positive well- being, even with the simplest of the earth’s gifts, such as leaves, flowers, berries, feathers, and stones. These stunning pieces of art are a peaceful and creative avenue to express gratitude for nature, to practice mindfulness, and to add meaning to daily life. 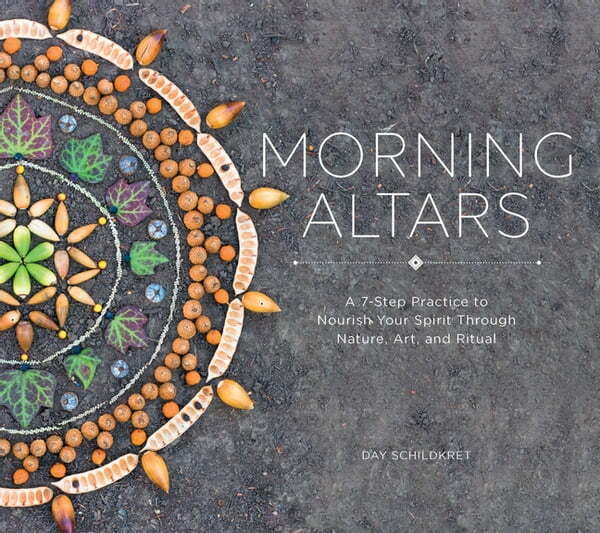 In this book, Day Schildkret guides readers through the creation of morning altars, a seven- step process that includes wondering and wandering, place meditation, clearing space, creating, gifting, walking away, and sharing his art with others. Since his first morning altar, Schildkret has built hundreds more. His work has been warmly received on social media and he teaches workshops on altar building, all with the intention of sharing the positivity and beauty they have brought to his life.